Since appliances are not required by law, you will have to look at what your lease says. Your lease may specifically state that the landlord will provide you with certain appliances. In this case, the landlord is likely responsible for repairs or replacement. However, it may also state that appliances are the tenant’s responsibility. In this situation, you will have to pay for repairing or replacing your broken appliance. Whether or not the landlord is required to provide an appliance, the next question is whether the appliance was actually provided by the landlord anyway. If the appliance came with the apartment, you have a greater likelihood of holding the landlord responsible for replacing or repairing it. After all, an appliance within the apartment is probably owned by the landlord. It was there before you moved in and will stay when you move out. While you are responsible for cleanliness and everyday upkeep, the landlord may be liable for more significant repairs or replacement. However, your landlord may still get out of repairing or replacing it if they claim it was left behind by a previous tenant or if the lease specifically takes away this responsibility. Ultimately, if a landlord is required to provide you with a certain appliance or takes on the responsibility of supplying you with an appliance, and that item breaks, you can hold the landlord responsible for correcting the issue within a timely matter. Is it a Habitability Issue? If the broken appliance is considered an amenity. which many are under California law, and it is not guaranteed within your lease, then it may be difficult to force a landlord to repair or replace it. Your rights depend heavily on the wording of your lease and whether there is any part of the law that supports your right to a repair or replacement. One of these laws is the implied warranty of habitability. If the broken appliance is creating an unlivable environment, such as a gas leak or flooding the unit with water, then you may be able to use the repair and deduct method. If your landlord wrongfully denies repairing or replacing a broken appliance in your apartment, you may have the right to “repair and deduct.” Generally, this means you can pay for the appliance to be fixed or replaced and then deduct the amount you paid from your next month’s rent. However, this is not always a lawful option, and if you do not do it correctly, it could end up costing you a great deal of trouble and money. 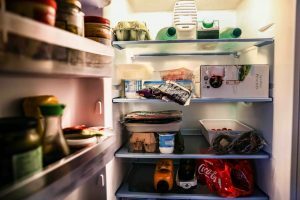 If you are having trouble with your landlord repairing or replacing broken essential appliances like a refrigerator or stove, contact Brod Law Firm at (800) 427-7020 to learn more about your rights and options.